Howl-O-Scream has Unearthed a new evil this year, and now fans have a chance to vote on which of their favorite former icons will make an appearance at the event. 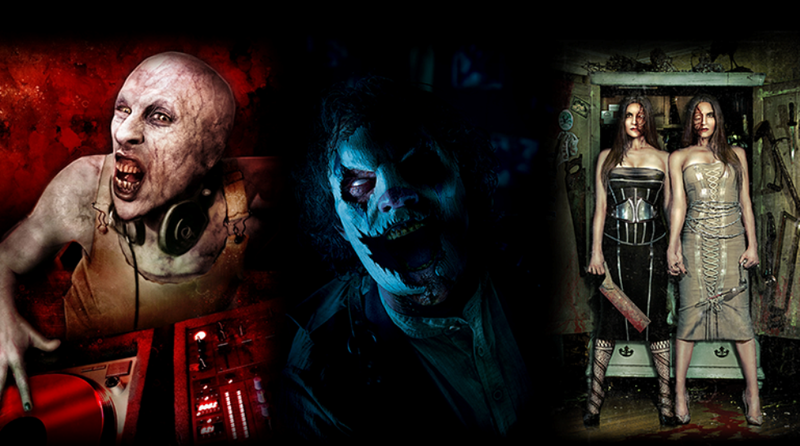 Howl-O-Scream Facebook fans can choose which evil former icon will be featured at a photo opportunity in the park. The Raven Twins of Howl-O-Scream 2008 reeled in victims with their seductive looks and devilish charm. Those who dared to date these beauties fell into a trap of a tortuous night of unimaginable pain. Creating a new sound to horror, the Death Jockey of Howl-O-Scream 2007 used burning lights and ear-splitting music, masking the screams of his listeners trying to escape his tormenting tempos. At Howl-O-Scream 2012, the Trickster lured you into the Dark Side of the Gardens, where Busch Gardens’ 300 overgrown acres of fright made escape nearly impossible. Voting is now underway on the Howl-O-Scream Facebook page and ends Thursday, Sept. 3. The results will be announced the following day. A bone-chilling, sinister force descends on Busch Gardens Tampa for 19 select nights this fall during Tampa’s premier Halloween event, Howl-O-Scream 2015. This year, Busch Gardens joins forces with award-winning horror filmmaker extraordinaire, Robin Cowie, producer of the Blair Witch Project, to unearth an unimaginable evil. Stay tuned to HowlOScream.com for the latest terrifying details.